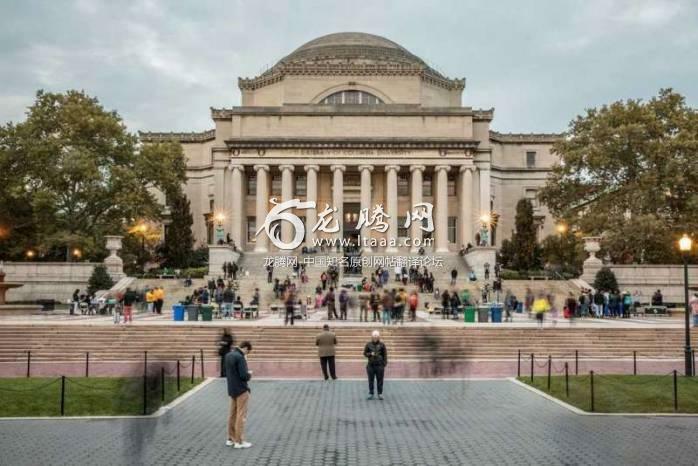 【上】美国大学舞弊丑闻: 招生系统能被修复吗？ [美国媒体] College cheating scandal: Can system be fixed? College cheating scandal: Can system be fixed? This is not white privilege, it is wealthprivilege. I scored the highest SAT in my High school (over 1000 students) butbecause I'm asian I only got partial academic scholarships offered from myfirst choice schools. (I was offered full scholarships from smaller schools). Iwent to a Division one school (Clemson University) where I met students on fullscholarship with SAT scores over 400 points lower than mine because they wereblack. Their scores were only slightly above average among all high schoolers,and simply average at Clemson among the general student body. What is thisprivilege everyone is talking about? The story ends well. I worked hard, got aseries of great jobs and life has turned out great. You don't need privilege tomake a good life for yourself. There will always be people who get an easierpath. Don't let it get you down. Make your own "best life". Wealthy people have been donating largeamounts of money for decades to get their kids into good colleges there arebuildings named after them, this is not new. The college admissions system is hopelesslyand irrevocably broken in the same sense that Congress and the executive branchand the judicial branch are broken. It takes their consent to fix it, and theywill refuse to fix it, since they benefit from it being broken. I have no sympathy for these folks, whydoes everyone believe college is the only way to go? One of my boys went tocollege and got his masters; for years I told him go down to any union hall andget an apprenticeship, after not finding a job he finally listened and is aplumber making more then me. I don't think universities should letpeople in just because they are good at a sport. They are supposed to beeducational establishments, so entry should be based on academic potential. Idoubt that will change, since college sports are big business, but at least weshould recognize the consequences of our sports fanaticism. One student, a wealthy individual namedThornton Mellon allegedly paid to get into college. I remember him asking oneof the teachers out and she declined saying she had class. He said what abouttomorrow and she said no I have class tomorrow also. Mellon then replied, letme know when you have no class and we will go out. Colleges have been doing this for years.Nothing is going to change, If you got the money, you can buy your way in. Are we going to talk about the fact thatlike half of high school students are now diagnosed with ADD and then go onAdderal so they can get an advantage? The system needs third party admissionscommittees and anonymous applications without names, genders, or races. Also,student athletes are chosen for teams AFTER they earn admission. "The College Board" needsoversight and possibly needs to be dismantled as well. I bet they haven’t even scratched thesurface yet. There was a lot that came out in a short time. I bet there are alot of nervous people out there hoping they don’t get caught now that this hasbeen exposed. They will never stop giving out sportsscholarships because the sports programs make to much money for the schools. What the legitimate student and theirparents go through to wait for the college admins reply to their entry requestis grueling yet we are 'brought up' to believe that these institutions (&on the outside corporations) are on the 'up and up'. An 18 year old who did allthe right things to get into college got screwed by these people and more likethem in colleges throughout the U.S. I hope they all win on their lawsuitsagainst this - without a fair shake in these areas the good students entirelife is impacted. Colleges are failing badly because they nolonger teach students how to think, they are teaching what to think. It is notworth the out of this world costs to go to the "big" named schoolsany more......if it ever was! Not surprised it's been going on since ivyleagues been around.Can anyone honestly say all the past presidents childrenwere all smart enough to get into these institutions.I mean the odds are 5%acceptance rate yet they are 100% accepted.At the same time that's what makesthese schools sought after.I have 2 sons and I can admit it hurt me when one ofthem didn't get accepted to his top choice schools.I wish I had a connection atthat time(glad I didn't now) .He ended up going to a state school where heexcelled and eventually made it to his dream school for graduate school.Alsoyou can't blame schools for bad apple staff.Except maybe Usc who has a historywith this kind of stuff. I guess Felicity Huffman may not beattending the Women's March this year? Sorry but I don’t get the fingers pointingat these rich people, it’s what they do. They’ve been doing it for years. Butwhy aren’t these universities being held accountable? How is this any differentthan large corporations “donating” money to politicians so they vote the waythey want them to? Why isn’t the FBI doing anything about that. really 10 to 20 years. I get that it is notright, but we should be putting things like this in to a little betterperspective. if on 50...FIFTY people have been arrested, are we really spendinggovernment money on this... how many students are we talking about here... 200300... out of the MILLIONS of kids in colleges.... .02%. costing tax payers howmany millions in the investigation... Just one other point of view. Of course it can be fixed. Rich kids haveno need to go to college. Fixed. These parents have hurt their children incountless ways! Wasn't worth it!! Every college has this issue. Virtually all the parents caught up in thescandal are high-octane, uber-ambitious, over-achievers. Instilling those samues into their children--hard work and perseverance--would've cost them muchless money, legal fees, and possible jail time. And the benefits to theirchildren would've been priceless.